Now it's time for you to write a new page on your own doll story. It's bitter sweet news, I am sad because our class has finally come to the last lesson. I am going to miss your questions and progress updates. I am happy because all the beautiful things you created. I am proud because of the wonderful feedback you gave me about the class. And above all, I am grateful because you gave me the opportunity to share doing what I love with you. You told me my art makes a more beautiful world, and I feel really good knowing that now you have the power to create beautiful things with your hands too. 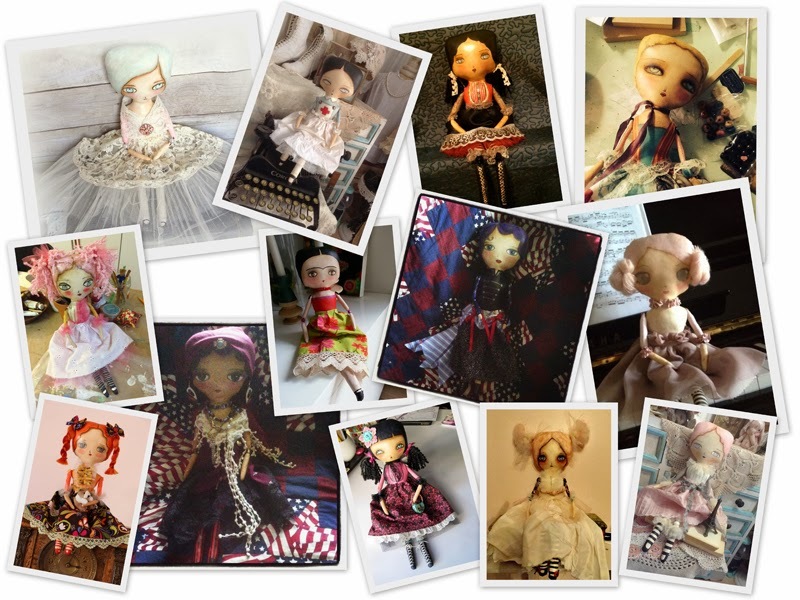 That's where a new doll story begins with every one of your dolls, keep on creating beautiful things, share them with the world and let your love and dreams live on on every doll you make. I will be seeing you soon on the next chapter of A Doll Story. These dolls are absolutely gorgeous! !